We set off in blazing sunshine and ran steadily through a few fields, complete with crazy horses running amok. 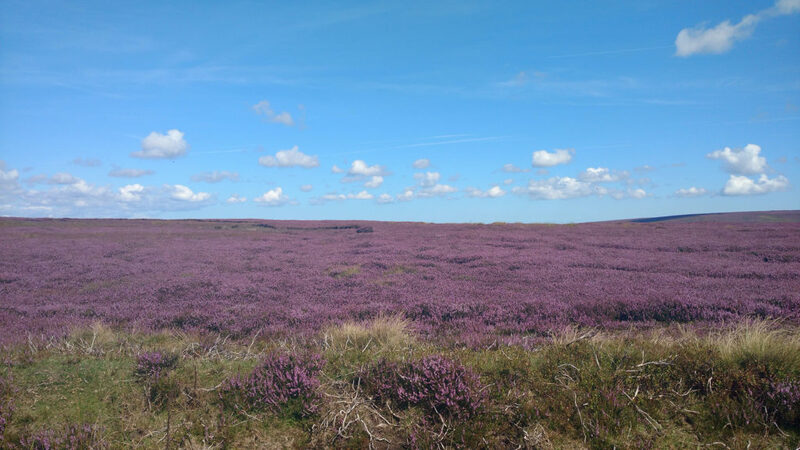 I’d initially planned on running with Mike but we got split up on a single-file stretch through the woods and I found myself catching up and passing Russ in a potato field (Hardmoors routes offer very varied terrain!). Eventually, I settled into a steady pace alongside a complete stranger who (thankfully) was happy to let some chatterbox run with her and we ran the rest of the way together.